Originally sold in the Five & Dime stores back in the 1920s and 1930s, this very special pressed glass charm was made in Japan. It measures about 1/2 inch long (not including to little metal loop) and about 3/8 inch wide. The color in the glass is slightly variegated, but the main color of each charm is orange. Most of the charms are similar to this one. 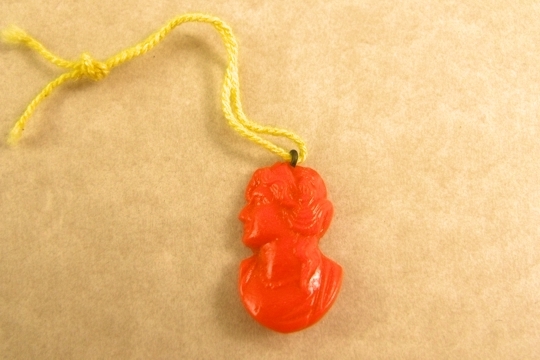 Even the string is original (the color of the string may vary from the one pictured). These are new old stock - never used. We even found them in the original box marked Made in Japan. 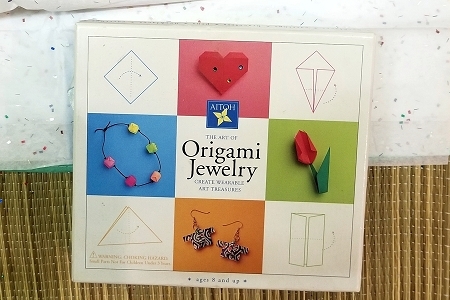 These were manufactured as a novelty - perhaps for a little girl's charm bracelet, so please allow for some variability.